It’s time to start your next ADVENTURE! P&O Cruises newly released Pacific Adventure is ready to get your cruise vibes pumping! Explore the islands of New Zealand, take a punt at the Melbourne Cup, relax on beaches of Papua New Guinea and the South Pacific, or just take a few nights getaway aboard the largest ship in P&O’s fleet. Book online or call 13 13 03 to be one of the first on board! Looking for a quick getaway? Book a Short Break cruise on P&O Cruises latest cruise deal and pay just $49pp deposit*. Enjoy exclusive discounts* when you book with your P&O cruise online with Cruise Guru. Take advantage of bonus shipboard credit* on select sailings. Looking for the best value cruises? 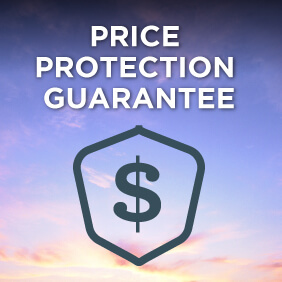 View P&O cruises under $500, from $500-$750, and from $751-$1000. 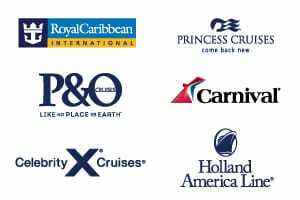 Have a look at a selection of handpicked P&O Australia cruise deals or alternatively find your preferred cruise with our Cruise Finder tool. 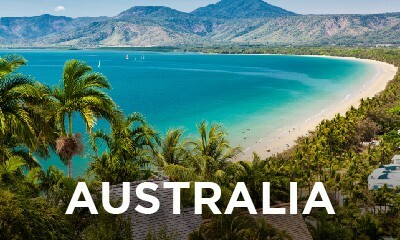 P&O Cruises Australia are one of the few cruise lines that operate year-round cruises in Australia. Operating six ships from six Australian ports (and two international ones) there’s a cruise to suit every Australian’s holiday needs. New to cruising, or short on time? P&O Cruises Australia has a huge range of short cruises perfect for an introductory cruise, a getaway reunion, weekend birthday celebration or just a quick break. View P&O cruises of 1-3 nights or 4-6 nights. They say laughter is the best medicine, so if your desperate for a quick getaway, why not jump on one of P&O’s short comedy cruises and laugh yourself silly! The primary departure ports for P&O cruises are Brisbane and Sydney; P&O Cruises departing from Sydney sail aboard Pacific Aria, Pacific Explorer and new for 2020, Pacific Adventure, whilst Pacific Dawn and from 2020, Pacific Explorer, offer Queenslanders an extensive range of year-round P&O Cruises departing from Brisbane. From Brisbane, the most popular itinerary for P&O cruisers is the 7 night round trip voyage to the Pacific islands. The islands are also popular for people cruising from Sydney, but the itineraries tend to be longer – between 8 and 12 nights. 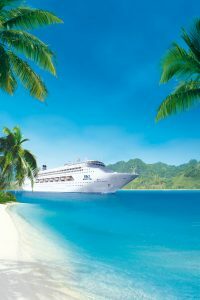 It’s safe to say that for P&O Australia Cruises, South Pacific itineraries are their most popular cruise destination. 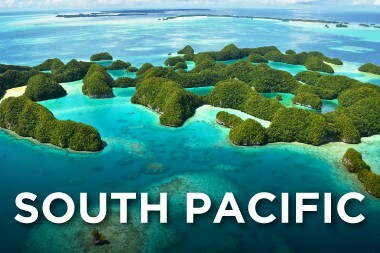 Cruise Guru’s handy tip for finding the right South Pacific cruise: generally cruises of 7 to 9 nights from the eastern states visit New Caledonia, cruises of 10 to 11 nights may include Vanuatu, and you will need 12 nights or more to reach the islands of Fiji or Tonga. P&O Cruises Australia has also started to operate more departures from Melbourne with a number of itineraries being offered by Pacific Dawn in 2020. You can cruise for up to 12 nights from Melbourne with itineraries visiting Tasmania and the Southern Coast of Australia as well as New Zealand and the South Pacific. P&O Cruises Australia also recently has started to offer an increased number of departures from Adelaide and itineraries from Auckland. P&O Cruises are also offering a small number of cruises to and from Asia as part of their schedule. With cruises into and out of Singapore from various Australian ports with visits to Indonesia, Malaysia, and Thailand. 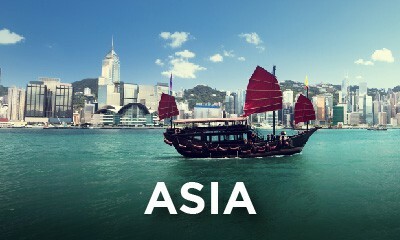 These cruises represent outstanding value and offer a rare opportunity to experience Asia with P&O Cruises Australia. Be sure to secure your cabin early.